Consumption decisions are crucial determinants of business cycles and growth. 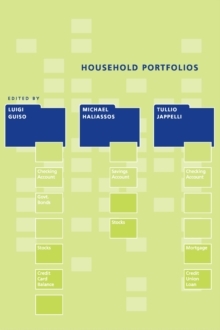 Knowledge of how consumers respond to the economic environment and how they react to the risks that they encounter during the life-cycle is therefore important for evaluating stabilization policies and the effectiveness of fiscal packages implemented in response to economic downturns or financial crises. 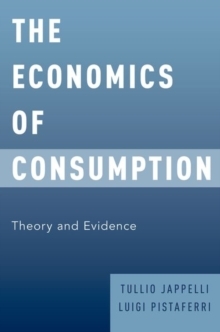 In The Economics of Consumption, Tullio Jappelli and Luigi Pistaferri provide a comprehensive examination of the most important developments in the field of consumption decisions and evaluate economic models against empirical evidence. The first part of the book provides the basic ingredients of economic models of consumption decisions. The central part reviews the empirical literature on the effect of income and wealth changes on consumption and on the relevance of precautionarysaving and credit market imperfections. The last chapters extend the basic framework to such important areas as bequests, leisure, lifetime uncertainty, and financial sophistication. Jappelli and Pistaferri shed light on important issues, including how consumption responds to changes in economic resources, how economic circumstances and consumers' characteristics influence behavior, and whether consumption inequality depends on income shocks and their persistence.